High temperatures, dry climate and sand make the desert a difficult place to live. Any animal who lives there must possess certain characteristics and behaviors that allow them to adapt to the desert environment. Lizards accomplish that through a variety of mechanisms that negate the heat, regulate their body temperature and provide the means to survive. Lizards can shift their color and behavior patterns to regulate their body temperature in the desert, and have also evolved ways to move quickly in the sand. The ability to adjust color due to temperature fluctuations is called metachromatism. They cannot regulate their temperature internally so they must rely on their environment to keep the temperature in the correct range. Metachromatism helps them accomplish the regulation of internal temperature. When temperatures cool, lizards turn darker. Dark colors increase heat absorption. 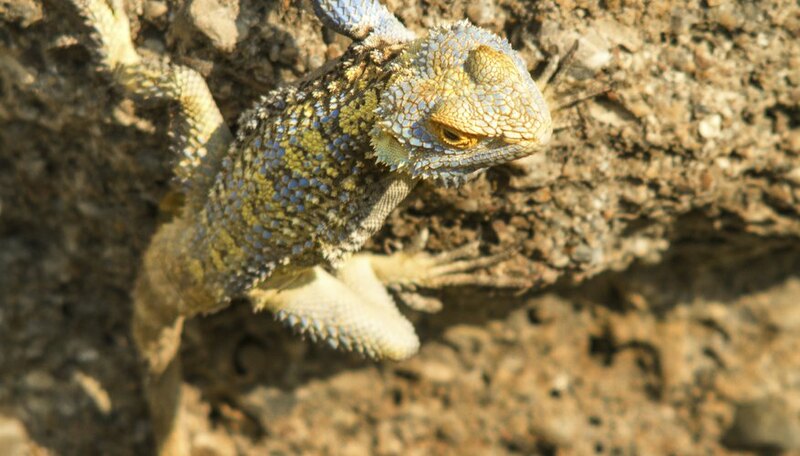 When desert temperatures rise, their color becomes lighter, which reflects the heat and keeps the lizard cooler. While metachromatism relates to physical changes by lizards to adapt to the desert, thermoregulation involves behavioral adaptations that negate the desert environment. An example is the orientation of the lizard's body to the sun's angle. When the lizard lies on a rock in the sun, if it needs to increase its body temperature it turns its body towards the strongest rays of the sun. If it needs to cool off, then it turns away from the sun. Another aspect of thermoregulation involves choosing the time of day for activities based upon the heat. Avoid the hottest part of the day. Conserve energy and minimize the effects of the desert. Lizards use burrows, or underground holes, as a means of adapting to the desert heat. They descend into these burrows to escape the heat. They may use the burrow as a temporary shelter during the heat of the day or as a long-term survival technique. Lizards create their own burrows or use ones made by other animals. 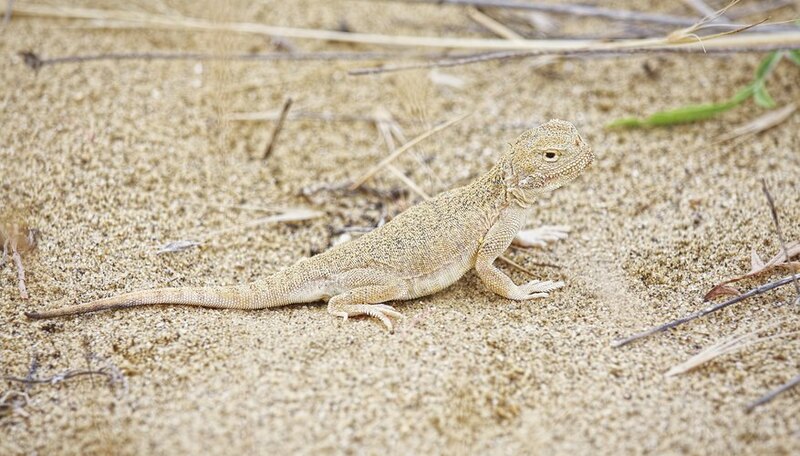 The fringe-toed lizard that resides in the Coachella Valley Preserve in California is an example of a lizard that has adapted to life in the sand. The lizard's name refers to the scales on its hind feet, which resemble fringes, These scales enable the lizard to move quickly across sand, providing traction in the desert environment. Other adaptions include fringes on the ears to keep sand out and a head designed to burrow into the sand quickly. 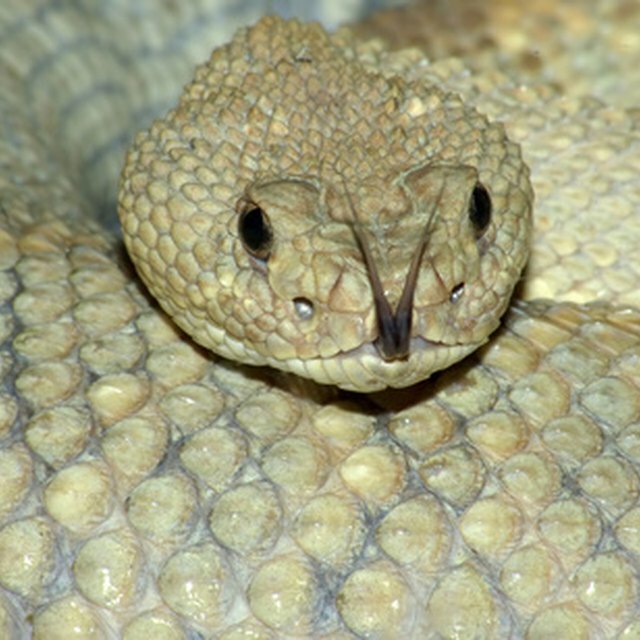 The ability to disappear without a trace under the sand provides protection from predators. Special adaptations of the nose allow for breathing under the sand. Alley, Robert. "What Are the Adaptations a Lizard Has That Allow It to Live in the Desert?" Sciencing, https://sciencing.com/adaptations-lizard-allow-live-desert-8343921.html. 19 April 2018.